Growing a patient base means having a brand that conveys a dedication to meeting and exceeding the health needs of the community. 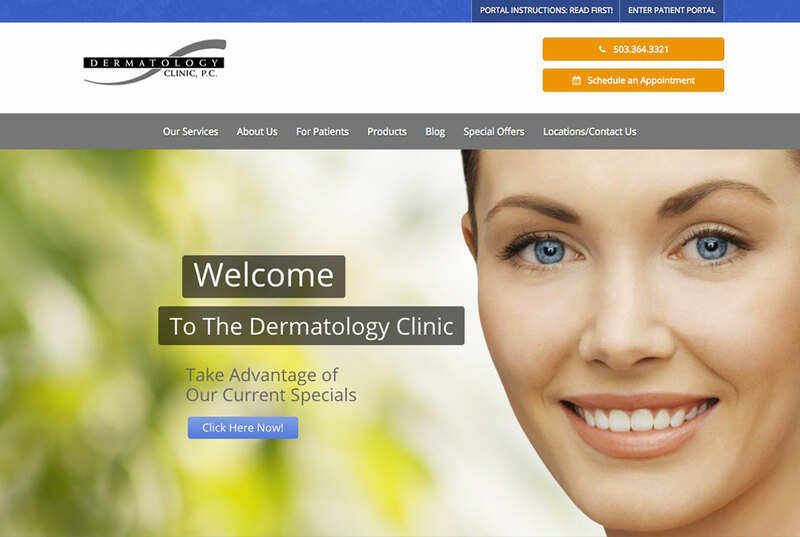 When redesigning the Dermatology Clinic’s website, Local Fresh focused on improving the patient portal, expanding available resources, and highlighting the clinic’s role over the last 45 years in protecting the dermatological health of the Salem, Oregon community. To further grow the clinic’s role in the Salem market, Local Fresh continues to successfully manage the clinic’s pay-per-click advertising campaign with the goal of highlighting special offers and growing skin care product sales.